From the heartland of peated whisky comes the unpeated - yes, you read correctly, peat free - Bruichladdich. How can such a thing happen? 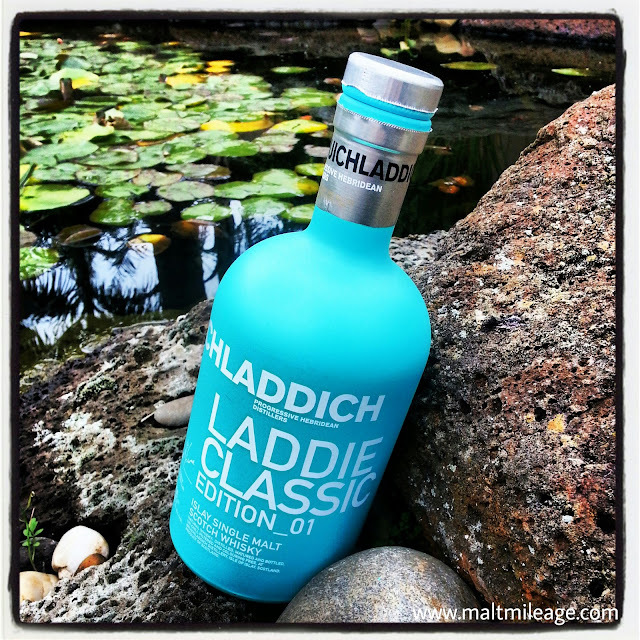 The smart folks at Bruichladdich have done lots of research into what gives whisky its flavour, and I am told they want to give the world the taste of coastal Islay but without the peat; interesting idea! Nose: Sometimes we walk our King Charles Cavalier, Henry, along Altona Beach (Melbourne) away from the hustle and bustle and towards the "dog beach" where lush green grass and flowers dotted on the landscape meet the salty sea water bashing against the sand. This whisky reminds me of those walks: the fragrance of flowers and lush meadows provides a sweet freshness that is met with the salty earthiness of the beach. This is simply beautiful whisky on the nose.